HomeNews in PerspectiveIs President Koroma’s Ebola strategy running out of steam? 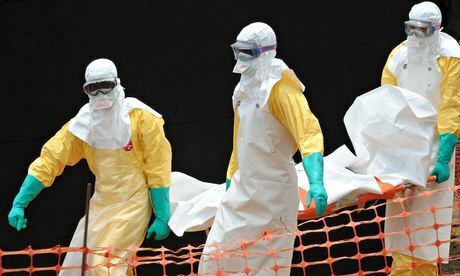 As Sierra Leone records its landmark 3,000 Ebola victims, and Liberia clocking up a greater number of confirmed cases, Ebola is far from being controlled. Yet, already the recriminations and finger pointing on the global stage have started, as the number of people that have died from the virus in West Africa exceeds 5,000. Former Ghanaian born UN Chief – Kofi Annan pulls no punches. He lays the blame for the exponential rise in Ebola right on the doorsteps of the very governments, whose countries are being ravaged by the virus – Liberia and Sierra Leone. But he did not spare the international community either. “The African countries in the region could have done a bit more. They could have asked for help much faster, and the international community could have organised ourselves in a much better way to offer assistance. We didn’t need to take months to do what we are doing today,” said Annan last week. But such outpouring of frustration is not new. In Sierra Leone, critics have accused the Koroma government of negligence, incompetence and at best too slow in responding to the outbreak. 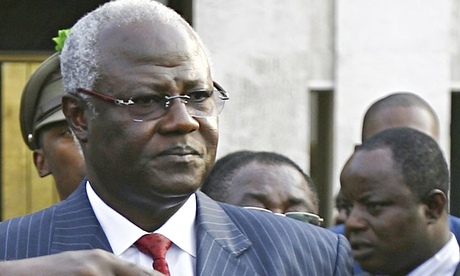 Is Koroma’s Ebola strategy going off the rails? Last Friday, the people of Sierra Leone were surprisingly informed by State House, of another strategic reorganisation of the government’s efforts to tackle the Virus – the reconstituting of the ‘Emergency Operations Centre’, which henceforth will become known as the ‘National Ebola Response Centre (NERC). On the 29th August, the president sacked his health minister after a barrage of criticisms. He expanded the inter-ministerial committee, which in addition to the relevant ministers, included the United Nations resident coordinator, the Chief Medical Officer and the World Health Organisation (WHO) representative. But as a result of last Friday’s announcement, the WHO representative, the CMO and Mr Stephen Gaojia have now been made absolutely irrelevant. So why did president Koroma make another hasty and incoherent reorganisation of his Ebola strategy on the 17th October 2014? And to confuse matters even more, Koroma said he has relocated the EOC (now NERC) next door to the newly established United Nations Mission for Ebola Emergency Response (UNMEER) at the premises of the former Special Court for Sierra Leone at New England in Freetown. But with financial resources stretched and the UN calling for developed countries to make good on their pledge to provide the one billion dollars needed to tackle Ebola, few will understand why president Koroma continues to muddy the waters with his endless reshuffling and reorganisation of his Ebola strategy, whilst thousands are dying in Sierra Leone. The president has now appointed himself head of the National Ebola Response Centre (NERC), and his defence minister appointed the new chief executive. Last Friday’s statement from State House said that; “The governing body of NERC will be headed by his excellency the president”, rather than the joint governance arrangement decreed by Koroma in August, with the reconstituted Emergency Operations Centre (EOC) co-chaired by the WHO representative and the country’s Chief Medical Officer. But what is even more baffling and stupendous is the appointment of the country’s defence minister – retired Major Palo Conteh (Photo: Courtesy of Cokorioko) as chief executive officer of the NERC. Will Palo Conteh’s appointment be subject to parliamentary approval? After failing to provide effective leadership at the helm of the military and amid accusations of corruption, the defence minister is now responsible “for the implementation of the National Ebola Response Plan (NERP) and all.” But it not clear what “and all’’ entails. Is this a euphemism for responsibility for medical staff management, resource allocation, and budget management? 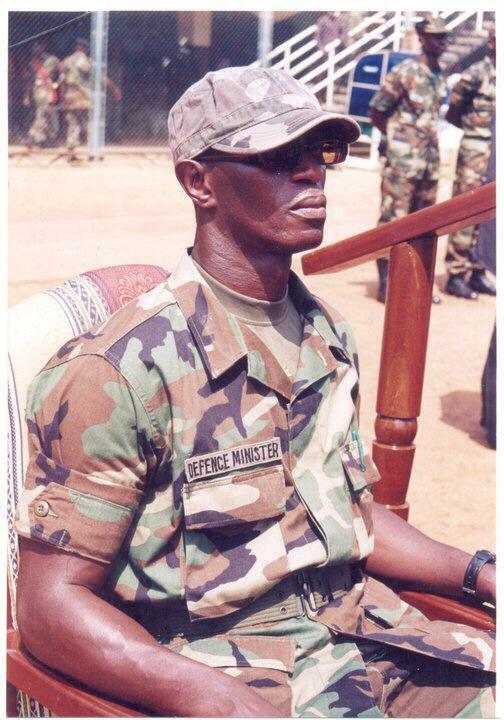 According to State House, while Palo Conteh is “on special assignment from his current position as minister of defence, the president will provide general oversight of the ministry of defence,” – effectively now the minister of defence as well as head of state. So what exactly will be Palo Conteh’s role at the new NERC? But is this simply another case of appointing the mouse to looking after the cheese, as is becoming ever popular at State House – even in the face of Ebola?